The maiden Nokomis (left) is being carried by the warrior Hiawatha (right). These American Indian characters are from a poem by Longfellow. 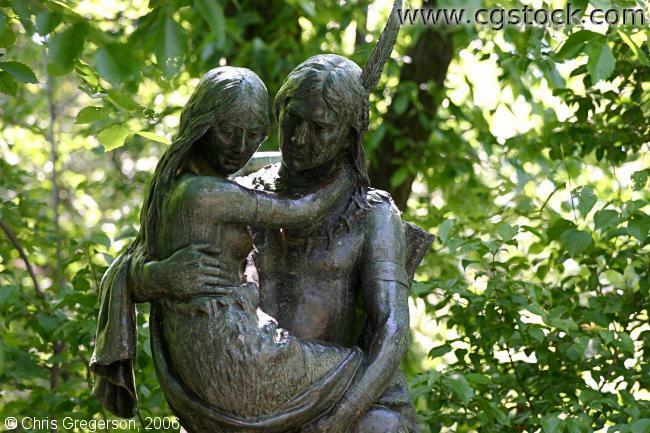 The statue is in Minnehaha Park in Minneapolis.